A.B. Ellie launched in 2010 by a team of two sisters and their mother. The collection fuses delicate features such as freshwater pearls and Swarvoski crystals, with modern hardware for a look that is unique, fresh and beyond cool. A.B. 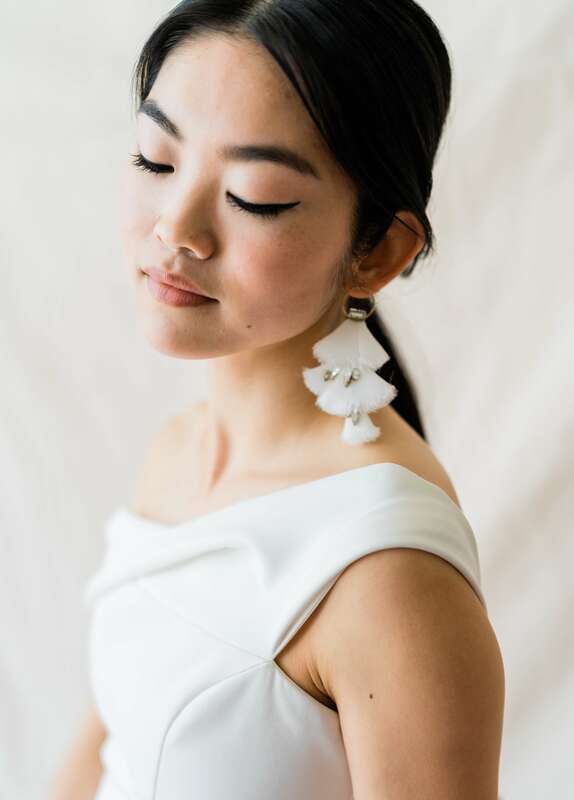 Ellie's line ranges from soft and feminine sashes to bold earrings. Perfect for any bride looking to make a statement. Handmade in the USA.